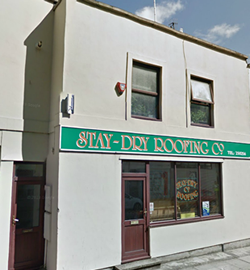 We have an office in Plymouth, located near the city centre itself. We are open from 9 am – 5pm Monday – Friday. There is usually someone in the office from 7.30 am and we are contactable by email or facebook out of hours. We are pleased to be able to offer our services to both public and private sector customers as well as comercial customers. Details quotations this helps you to budget as you will know exactly what work is going to be carried out and how much it will cost before we start. We also work closely with other local reputable Scaffolders, builders, carpenters, plumbers and electricians. This enables you to feel safe that you are not using the unknown tradesman for those bigger projects. We have worked to gain our accreditation with in the CHAS organisation – Contractors Health and Safety Assessment Scheme (CHAS). They are dedicated to completing health and safety pre-qualification assessments to a nationally recognised and accepted threshold standard. We are also accredited with Safe Contractor. We also have a NEBOSH qualified health & safety officer. Stay Dry Roofing are also proud to be members of the Confederation of Roofing Contractors.